Ooh! How does that work? 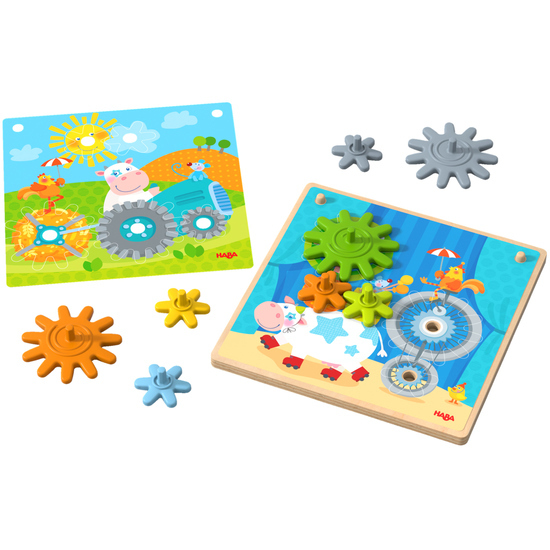 When children turn one of the cogs, all the others start turning and amazing things happen! The cow drives her tractor over the field and the daring animal acrobats show their stunning tricks.